Due to an increased demand for tickets and hospitality packages to other Grand Prix than Monaco we now have the pleasure to offer you access to several of the thrilling Grand Prix races on the F1 calendar. Here below you’ll find some of the best races lined up for your pleasure but don’t hesitate to contact us if you are looking to attend a race not listed below. 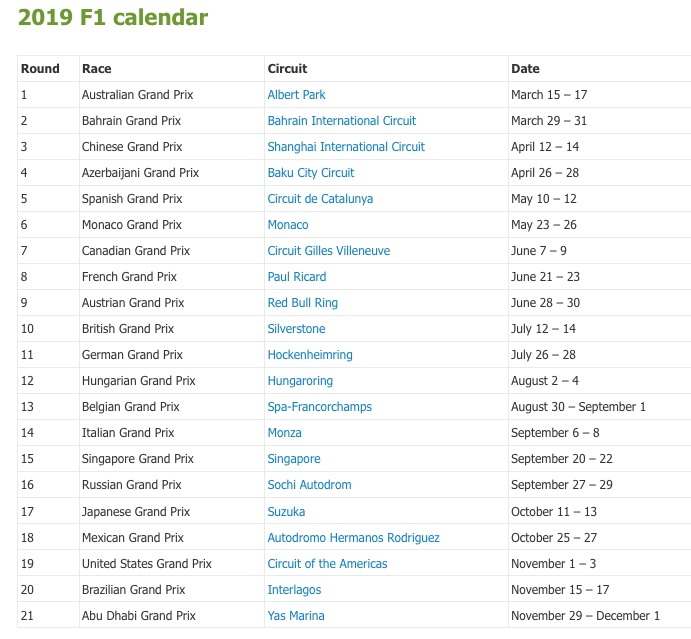 We look forward to accompanying you on the F1 race journey starting in March and right until the checkered flag has been waived for the final time in November. Let’s race!